SEATTLE — There are some new restaurants in town for families living with dementia — known as Alzheimer’s cafes. One who takes part is David Jones, whose suffers from Alzheimer’s and whose memory deteriorates with his disease. The minister and musician has forgotten a lot of lyrics and chords but his wife Daphne guides him through lapses. It’s a very forgiving audience at this Alzheimer’s café. Dementia can socially isolate families. Jeanne Ballard would probably have stayed home in pajamas had her husband Bob not convinced her and dressed her to go out. “Comb her hair, put her earrings on her,” he said. The Alzheimer’s café concept began in Europe and is now taking off in western Washington. It’s a place for families to feel normal again with others, to laugh, sing, and eat. “And enjoy life the way they always used to be able to enjoy life,” said Nora Gibson. 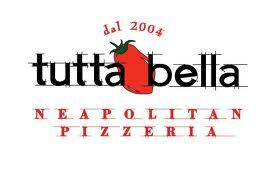 Restaurants like Tutta Bella in Columbia City, make space, simplify their menu and provide customers comfort. No one judges occasional outbursts or forgotten boundaries. “Another person that has been coming to our cafes occasionally, reaches over and takes a bite off of somebody else’s plate,” Gibson said. A welcoming atmosphere breaks down perceived barriers for couples like Chuck and Dewey Woodland, who’ve been married 56 years. Daphne Jones has become her husband’s caregiver. She said he’d struggle ordering in a restaurant without her, but when this pizzeria converts into an Alzheimer’s cafe, he shines, and he sings. And there’s one thing his wife won’t let him forget. Several local restaurants are holding Alzheimer’s cafe’s at no cost other than the meal, including Luther’s Table in Renton and Pagliacci Pizza in Edmonds.